"The perfect game for K-Pop fans!" Game Goal: In this fun game of skill you'll need to not only listen to your favorite music but also succeed in playing it. How to Play: React quickly to hit the notes and reach the target score to unlock new music. Game Options: You can play in race mode offline or online in real-time in a battle to see who can score the most points. Graphics: The game includes several different designs of notes that provide special effects. There's also a varied array of vibrant colors throughout. Sound: The major highlight of the game is the accompanying soundtrack which includes many songs to play and unlock. Controls: You need to tap the note as it appears on screen, at the exact right time, to get the points. Installation requirements: A minimum of 70M of free memory space and Android 4.2 or higher. Rating: The TOP 5 Most popular games in Guitar Hero category. Ranking: The TOP 5 Most downloaded games in Guitar Hero category. The interface is interactive and easy to use. The main screen may have errors on some devices. 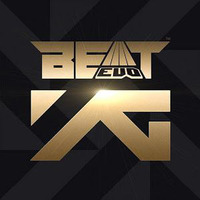 Do you like BeatEVO YG? Be the hero playing guitar with your phone! Test your reaction times with this musical challenge! To be right on, react quickly and in time to the music! Train your reflexes in a similar game to guitar hero!